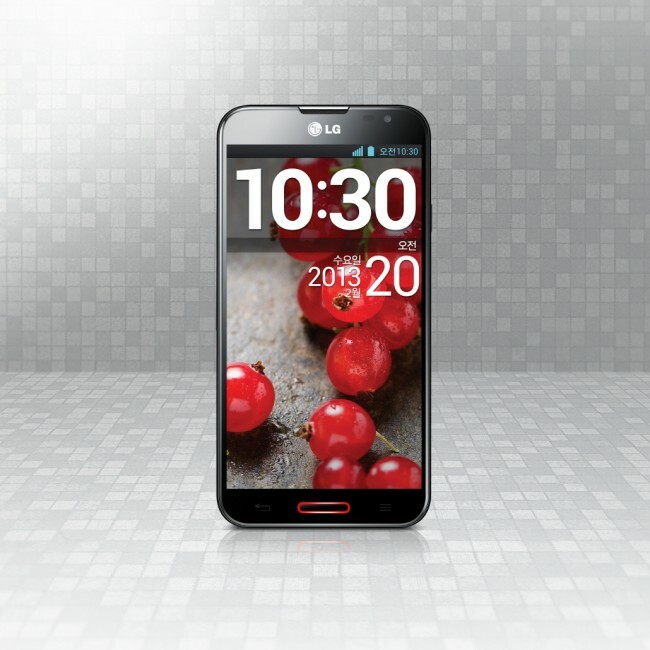 LG finally fully unveiled the Optimus G Pro yesterday. The device will be on display at Mobile World Congress next week before it makes its way to the U.S. in Q2 of this year. The official specs, which we mostly knew, are now confirmed as a 5.5″ FHD (1080p) display (400ppi), 2GB RAM, 32GB internal storage (expandable SD slot to 32GB), 13MP rear camera 2.1MP front camera, 3140mAh battery, is only 9.4mm thick, runs Android 4.1.2, and is powered by the brand new Snapdragon 600 processor clocked at 1.7GHz. 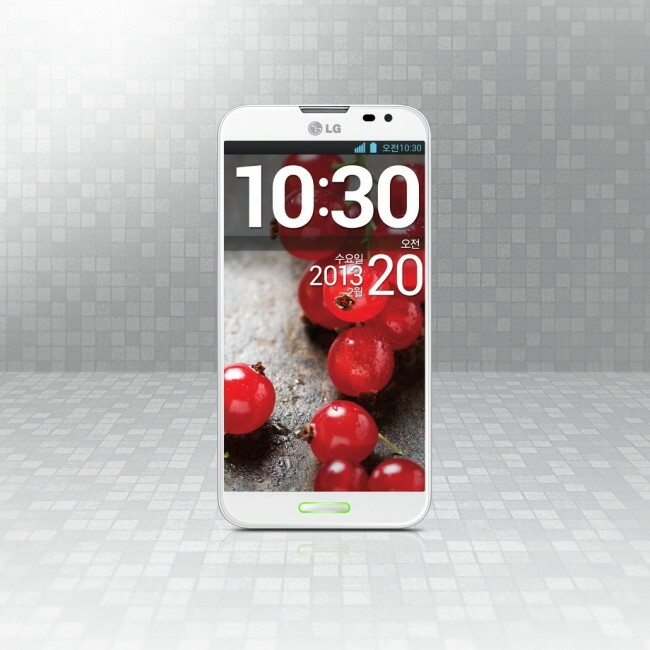 Beyond specs, the Optimus G Pro will feature “advanced UX features” that were developed specifically for this device. Two of them are Dual Recording mode and Virtual Reality Panorama. Dual Recording allows users to capture video with both the front and rear cameras at the same time in a picture-in-picture experience. VR Panorama sounds a lot like Google’s Photo Sphere, in that you can pan horizontally and vertically to grab full 360-degree shots. The device sounds incredibly impressive on paper, especially with the new Snapdragon processor and 1080p 5.5″ display. We don’t know pricing or carrier partners at this time. SEOUL, Feb. 18, 2013 — Hot on the heels of the success of Optimus G, LG Electron-ics (LG) today introduced the newest addition to the G family to the Korean public. With the largest display yet to appear on an LG smartphone, the 4G LTE-equipped Optimus G Pro with 5.5-inch Full HD IPS display and new UX features was developed to meet the growing demand for smartphones with large screens. The Full HD IPS display on the Optimus G Pro — developed in partnership with LG Display — delivers 1920 x 1080 pixels at 400ppi. The smartphone offers the largest battery capacity in its class at 3,140mAh, allowing for Full HD viewing enjoyment for hours on end. And with an improved 13MP rear and 2.1MP front camera, users can also capture images and videos in Full HD, the same quality found on high definition TVs. The Optimus G Pro also comes with advanced UX features developed specifically for the device, such as Dual Recording and Virtual Reality (VR) Panorama. Dual Recording allows users to capture video with both the front and rear cameras simultaneously for a unique picture-in-picture experience. And VR Panorama allows shots of entire horizontal and vertical environments for a full 360o view. Creative and innovative UX features popular with Optimus G users have been added to the Optimus G Pro, such as an upgraded QSlide, Live Zooming and QuickMemo. Visitors to 2013 Mobile World Congress (MWC) can experience Optimus G Pro and its advanced UX features for themselves at LG’s Booth in Hall 3. HTC Rezound and DROID Incredible 2 Set to Receive Updates with "HTC Device Enhancement"